Not to be confused with Cultural liberalism, Liberal socialism, or Progressivism. In 1860s Germany, left-liberal politicians like Max Hirsch, Franz Duncker and Hermann Schulze-Delitzsch established trade unions—modeled on their British counterparts—in order to help workers improve working and economic conditions by means of reconciliation of interests and cooperation with their employers rather than class struggle. Schulze-Delitzsch is also known as the founding father of the German cooperative movement and is credited as the organiser of the world's first credit unions. Some liberal economists, such as Lujo Brentano or Gerhart von Schulze-Gävernitz, established the Verein für Socialpolitik (German Economic Association) in 1873 to promote social reform based on the historical school of economics and therefore rejecting classical economics, proposing a third way between Manchester Liberalism and socialist revolution in the 1871 founded German Empire. However, the German left-liberal movement fragmented itself into wings and new parties over the 19th's century. The main objectives of the left-liberal parties—the German Progress Party and its successors—were free speech, freedom of assembly, representative government, secret and equal but obligation tied suffrage, protection of private property while they were strongly opposed to the creation of a welfare state, which they called state socialism. The main differences between the left-liberal parties where the national ambitions, the different substate people's goals, free trade against Schutzzollpolitik and the building of the national economy. The National-Social Association founded by the Protestant pastor Friedrich Naumann maintained also contacts with the left-liberals. He tried to draw workers away from Marxism by proposing a mix of nationalism and a Protestant-Christian-value-inflected social liberalism to overcome class antagonisms by non-revolutionary means. Naumann called this a "proletarian-bourgeois integral liberalism". Although the party was unable to win any seats and soon dissolved, he kept influential in theoretical German left liberalism. In the United States, the term social liberalism was used to differentiate it from classical liberalism or laissez-faire, which dominated political and economic thought for a number of years until the term branched off from it around the Great Depression and the New Deal. In the 1870s and the 1880s, the American economists Richard Ely, John Bates Clark and Henry Carter Adams—influenced both by socialism and the Evangelical Protestant movement—castigated the conditions caused by industrial factories and expressed sympathy towards labor unions. However, none developed a systematic political philosophy and they later abandoned their flirtations with socialist thinking. 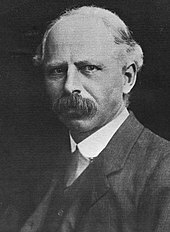 In 1883, Lester Frank Ward published the two-volume Dynamic Sociology and formalized the basic tenets of social liberalism while at the same time attacking the laissez-faire policies advocated by Herbert Spencer and William Graham Sumner. The historian Henry Steele Commager ranked Ward alongside William James, John Dewey and Oliver Wendell Holmes Jr. and called him the father of the modern welfare state. Writing from 1884 until the 1930s, John Dewey—an educator influenced by Hobhouse, Green and Ward—advocated socialist methods to achieve liberal goals. 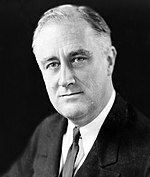 Some social liberal ideas were later incorporated into the New Deal,  which developed as a response to the Great Depression when Franklin D. Roosevelt came into office. Giving an exhaustive list of social liberal parties worldwide is difficult, largely because political organisations are not always ideologically pure. Party ideologies often change over time. However, the following parties and organisations are usually accepted by peers [nb 1] or scholars as following social liberalism as a core ideology. ^ Liberal International, ALDE Party, Council of Asian Liberals and Democrats, Africa Liberal Network, Liberal Network for Latin America or European Liberal Forum. ^ Donald E. Pease; Robyn Wiegman (eds.) (2002). The Futures of American Studies. Duke University Press. p. 518. ^ Vgl. Paul von Hoensbroech (1912). Der Linksliberalismus. Leipzig. ^ Felix Rachfahl (1912). Eugen Richter und der Linksliberalismus im Neuen Reiche. Berlin. ^ Ulrich Zeller (1912). Die Linksliberalen. Munich. ^ Rohr, Donald G. (September 1964). "The Origins of Social Liberalism in Germany". The Journal of Economic History. 24 (3). ^ Gaus, Gerald & Courtland, Shane D. (Spring 2011). "The 'New Liberalism'". The Stanford Encyclopedia of Philosophy. ^ John Derbyshire (12 July 2010). "The origins of social liberalism". New Statesman. 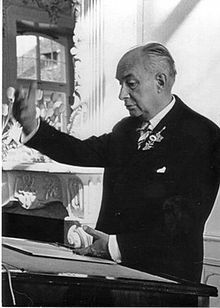 ^ Guido De Ruggiero (1959). The History of European Liberalism. pp. 155–157. ^ Faulks, Keith (10 December 1999). "Political Sociology: A Critical Introduction". Edinburgh University Press. Retrieved 10 December 2018 – via Google Books. ^ a b c d e f g h i j k l Adams, Ian (2001). Political Ideology Today (Politics Today). Manchester: Manchester University Press. ISBN 0719060206. ^ Slomp, Hans (2000). European Politics Into the Twenty-First Century: Integration and Division. Westport: Greenwood Publishing Group. ISBN 0275968146. ^ a b c d e f g h Ortiz, Cansino; Gellner, Ernest; Geliner, E.; Merquior, José Guilherme; Emil, César Cansino (1996). Liberalism in Modern Times: Essays in Honour of Jose G. Merquior. Budapest: Central European University Press. 185866053X. ^ Hombach, Bodo (2000). The politics of the new centre. Wiley-Blackwell. ISBN 9780745624600. ^ a b Richard E. Matland; Kathleen A. Montgomery (2003). Women's access to political power in post-communist Europe. Oxford: Oxford University Press. ISBN 978-0-19-924685-4. ^ Chideya, Farai (2004). The Red and the Blue: A Divided America. Trust: Reaching the 100 Million Missing Voters and Other Selected Essays. Soft Skull. p. 34. ^ Eatwell, Roger; Wright, Anthony (1999). Contemporary political ideologies. Continuum International Publishing Group. ISBN 9780826451736. ^ Michael Freeden, The New Liberalism: An Ideology of Social Reform (Oxford UP, 1978). ^ Peter Weiler, "New Liberalism" in Fred M. Leventhal, ed., Twentieth-century Britain: an encyclopedia (Garland, 1995) pp 564-65. ^ Inho Na (2003). 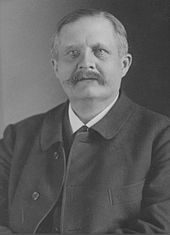 Sozialreform oder Revolution: Gesellschaftspolitische Zukunftsvorstellungen im Naumann-Kreis 1890–1903/04. Tectum Verlag. p. 27. ^ Van De Grift, Liesbeth (2012). Securing the Communist State: The Reconstruction of Coercive Institutions in the Soviet Zone of Germany and Romania, 1944-48. Lexington Books. p. 41. ISBN 978-0-7391-7178-3. ^ Mommsen, Hans (1996). The Rise and Fall of Weimar Democracy. University of North Carolina Press. p. 58. ISBN 0-8078-2249-3. ^ Kurlander, Eric (2006). The Price of Exclusion: Ethnicity, National Identity, and the Decline of German Liberalism, 1898–1933. Berghahn Books. p. 197. ISBN 1-8454-5069-8. ^ Marks, Gary & Wilson, Carole (July 2000). "The Past in the Present: A Cleavage Theory of Party Response to European Integration" (PDF). British Journal of Political Science. 30: 433–459. doi: 10.1017/S0007123400000181. Archived from the original (PDF) on 25 June 2008. ^ a b c d e f Richardson, James L. (2001). Contending Liberalisms in World Politics: Ideology and Power. Colorado: Lynne Rienner Publishers. 155587939X. ^ a b Andrew Vincent (2010). Modern Political Ideologies (Third ed.). John Wiley & Sons. p. 54. ^ gary Browning (2000). Contemporary liberalism. Understanding Contemporary Society: Theories of the Present. Sage. pp. 154–155. ^ Edwin van de Haar (2015). Degrees of Freedom: Liberal Political Philosophy and Ideology. Transaction. ^ Kirchner, Emil (2000). Liberal parties in Western Europe. Cambridge University Press. pp. 356–7. ISBN 9780521323949. ^ "ALDE National Delegations". ALDE Group in the European Parliament. 2010. Archived from the original on 3 February 2010. Retrieved 17 February 2010. ^ Jingjing Huo (2009). Third Way Reforms: Social Democracy After the Golden Age. Cambridge University Press. p. 79. ISBN 978-0-521-51843-7. ^ Judith Brett (1994). "Ideology". In Judith Brett; James A. Gillespie; Murray Goot (eds.). Developments in Australian Politics. Macmillan Education AU. p. 5. ISBN 978-0-7329-2009-8. ^ Gwenda Tavan (2005). The Long, Slow Death of White Australia. Scribe Publications. p. 193. ^ "Haiti's future is secure! It has lots of children". The Nassau Guardian. 22 December 2017. Retrieved 28 October 2018. ^ The party became infused with social liberalism in the 1940s and 1950s. Law Commission of Canada (2011). Law and Citizenship. UBC Press. p. 6. ^ Prentice, Susan (2004). "Manitoba's childcare regime: Social liberalism in flux". Canadian Journal of Sociology. 29 (2): 193–207. doi: 10.1353/cjs.2004.0029. ^ Prince, Michael J. (2012). 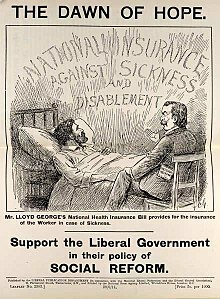 "Canadian disability activism and political ideas: In and between neo-liberalism and social liberalism". Canadian Journal of Disability Studies. 1 (1): 1–34. doi: 10.15353/cjds.v1i1.16. ^ Miriam Smith says, "The Liberal Party of Canada, the party that championed the Charter, is strongly identified with the document and uses the social liberalism of the Charter as a distinctive badge of party identification. " Smith, Miriam (2005). "Social movements and judicial empowerment: Courts, public policy, and lesbian and gay organizing in Canada". Politics & Society. 33 (2): 327–353. doi: 10.1177/0032329205275193. ^ a b Nordsieck, Wolfram. "Parties and Elections in Europe". Retrieved 7 November 2015. ^ "Croatia Elections 2015: Overview of the Parties - IDS and HDSSB". www.total-croatia-news.com. Retrieved 10 December 2018. ^ a b c Marks, Gary & Wilson, Carole (July 2000). "The Past in the Present: A Cleavage Theory of Party Response to European Integration" (PDF). British Journal of Political Science. 30 (3): 433–459. doi: 10.1017/S0007123400000181. Archived from the original (PDF) on 25 June 2008. ^ a b c J. Kirchner, Emil (1988). Liberal parties in Western Europe. Avon: Cambridge University Press. ISBN 0-521-32394-0. ^ a b Nordsieck, Wolfram. "Parties and Elections in Europe". Retrieved 25 January 2013. ^ Madsen, Tomas Bech (Autumn 2007). "Radicalis and Liberalis in Denmark" (PDF). Journal of Liberal Democrat History. Archived from the original (PDF) on 16 August 2009. ^ a b Almeida, Dimitri. "Liberal Parties and European Integration" (PDF). Retrieved 11 May 2008. ^ "Egyptian Social Democratic Party Elections Highlight a Deep Rift". Atlanticcouncil.org. Retrieved 28 October 2018. ^ Elisabeth Bakke (2010). Central and East European party systems since 1989. Central and Southeast European Politics since 1989. Cambridge University Press. p. 79. ISBN 978-1-139-48750-4. ^ Vít Hloušek; Lubomír Kopeček (2010). Origin, Ideology and Transformation of Political Parties: East-Central and Western Europe Compared. Ashgate Publishing, Ltd. p. 204. ISBN 978-0-7546-7840-3. ^ Isabelle Hertner (2018). Centre-left parties and the European Union: Power, accountability and democracy. Manchester University Press. p. 68. ISBN 978-1-5261-2036-6. ^ Movement genesis: social movement theory and the 1980s West German peace movement by Steve Breyman As quoted in the text: "The Liberal Democrats (Liberale Demokraten or LD) split from the FDP to create their own social-left liberal alternative." ^ Geoffrey Roberts (1997). Party Politics in the New Germany. p. 20. ISBN 9781855673113. ^ Hendrik Träger (2015). "Die Europawahl 2014 als second-order election". In Michael Kaeding; Niko Switek (eds.). Die Europawahl 2014: Spitzenkandidaten, Protestparteien, Nichtwähler. Springer-Verlag. p. 41. ISBN 978-3-658-05738-1. ^ Wolfram Nordsieck. "Parties and Elections in Europe". Parties-and-elections.eu. Retrieved 28 October 2018. ^ "Politics in Iceland: A beginner's guide". Iceland Monitor. Retrieved 28 October 2018. ^ Dutt, Sagarika (2015). India in a Globalized World. Oxford University Press. p. 1. ^ Geoffrey Pridham (1988). "Two roads of Italian liberalism: the Partito Repubblicana Italiano and the Partito Liberale Italiano". In Emil J. Kirchner (ed.). Liberal Parties in Western Europe. Cambridge University Press. pp. 29–61. ISBN 978-0-521-32394-9. ^ "Neues Parlament für Kryptowährungen". arabparliaments.org. Retrieved 10 December 2018. ^ "Political Parties". Election.irrawaddy.org. 7 April 2010. Retrieved 28 October 2018. ^ Vít Hloušek; Lubomír Kopeček (2010). Origin, Ideology and Transformation of Political Parties: East-Central and Western Europe Compared. Ashgate Publishing, Ltd. pp. 108–109. ISBN 978-0-7546-9661-2. Retrieved 14 July 2013. ^ Vowles, Jack (1997). Political Science. 49-50. p. 98. ^ Hans Slomp (2011). Europe, A Political Profile: An American Companion to European Politics: An American Companion to European Politics. ABC-CLIO. p. 425. ISBN 978-0-313-39182-8. ^ Oyvind Osterud (2013). Norway in Transition: Transforming a Stable Democracy. Routledge. p. 114. ISBN 978-1-317-97037-8. ^ Anatoly Kulik; Susanna Pshizova (2005). Political Parties in Post-Soviet Space: Russia, Belarus, Ukraine, Moldova, and the Baltics. Greenwood Publishing Group. p. 27. ISBN 978-0-275-97344-5. ^ David White (2006). The Russian Democratic Party Yabloko: Opposition in a Managed Democracy. Ashgate Publishing, Ltd. p. 2. ISBN 978-0-7546-4675-4. ^ http://thediplomat.com/2015/12/an-identity-crisis-for-south-koreas-opposition/ As stated in the text: "South Korea's main opposition social-liberal party is reeling (again) from intraparty factional struggle. Rebranded earlier this week "the Minjoo Party of Korea" (formerly New Politics Alliance for Democracy), the party is searching for a new identity and direction after high profile and popular assemblyperson Ahn Cheol-soo defected on 13 December." ^ Claire Annesley, ed. (2013). A Political and Economic Dictionary of Western Europe. Routledge. p. 228. ISBN 978-0-203-40341-9. ^ "Caribbean Elections - People's National Movement". www.caribbeanelections.com. Retrieved 10 December 2018. ^ Hans Slomp (2011). Europe, A Political Profile: An American Companion to European Politics: An American Companion to European Politics. ABC-CLIO. p. 343. ISBN 978-0-313-39182-8. ^ a b Alistair Clark (2012). "The Liberal Democrats". Political Parties in the UK. Palgrave Macmillan. p. 89. ISBN 978-0-230-36868-2. ^ Grigsby, Ellen (2008). Analyzing Politics: An Introduction to Politics Science. Florence: Cengage Learning. pp. 106–7. ISBN 0495501123. Its liberalism is for the most part the later version of liberalism—modern liberalism. ^ Arnold, N. Scott (2009). Imposing values: an essay on liberalism and regulation. Florence: Oxford University Press. p. 3. ISBN 0495501123. Modern liberalism occupies the left-of-center in the traditional political spectrum and is represented by the Democratic Party in the United States. ^ James Walter (2010). What Were They Thinking? : The Politics of Ideas in Australia (Large Print 16pt). ReadHowYouWant.com. p. 430. ISBN 978-1-4596-0494-0. ^ European: Webster's Timeline History 1973–1977. John Wiley & Sons. 2009. p. 207. ISBN 9780546976427. ^ Wilhelm Mirow (2016). Strategic Culture, Securitisation and the Use of Force: Post-9/11 Security Practices of Liberal Democracies. Taylor & Francis. p. 189. ISBN 978-1-317-40660-0. ^ Bram Wauters; Marco Lisi; Juan-Rodríguez Teruel (2016). "Democratising Party Leadership Selection in Belgium and Israel". In Giulia Sandri; Antonella Seddone; Fulvio Venturino (eds.). Party Primaries in Comparative Perspective. Routledge. p. 86. ISBN 978-1-317-08356-6. ^ Dimitri Almeida (2012). The Impact of European Integration on Political Parties: Beyond the Permissive Consensus. Routledge. p. 107. ISBN 978-0-415-69374-5. ^ Udo Kempf (2007). Das politische System Frankreichs. Springer DE. p. 190. ISBN 978-3-531-32973-4. ^ Oskar Niedermayer (2006). "Das Parteiensystem Deutschelands". In Oskar Niedermayer; Richard Stöss; Melanie Haas (eds.). Die Parteiensysteme Westeuropas. Springer-Verlag. p. 109. ISBN 978-3-531-90061-2. ^ Scott Lash (1987). The End of Organized Capitalism. Univ of Wisconsin Press. p. 27. ISBN 978-0-299-11670-5. ^ Liesbeth van de Grift (2012). Securing the Communist State: The Reconstruction of Coercive Institutions in the Soviet Zone of Germany and Romania, 1944-1948. Lexington Books. p. 41. ISBN 978-0-7391-7178-3. ^ Vít Hloušek; Lubomír Kopeček (2010). Origin, Ideology and Transformation of Political Parties: East-Central and Western Europe Compared. Ashgate Publishing, Ltd. p. 115. ISBN 978-0-7546-9661-2. Retrieved 14 July 2013. ^ "European Election Database (EED)". www.nsd.uib.no. Retrieved 10 December 2018. ^ Agust Thor Arnason (2006). "The European Union Seen From the Top – the View of an Inside-Outsider". In Joakim Nergelius (ed.). Nordic And Other European Constitutional Traditions. Martinus Nijhoff Publishers. p. 31. ISBN 90-04-15171-0. ^ Paolo Pombeni (2015). "Christian Democracy in power, 1946–63". In Erik Jones; Gianfranco Pasquino (eds.). The Oxford Handbook of Italian Politics. Oxford University Press. p. 258. ISBN 978-0-19-966974-5. ^ Jörg Seißelberg (1995). "Berlusconis Forza Italia. Wahlerfolg einer Persönlichkeitspartei". In Winfried Steffani; Uwe Thaysen (eds.). Demokratie in Europa: Zur Rolle der Parlamente. Springer-Verlag. p. 209. ISBN 978-3-322-93517-5. ^ Globalization, democratization and development: European and Japanese views of change in South East Europe edited by Vojmir Franičević and Hiroshi Kimura. As quoted in the text: "Towards the end of the 1990s the social-liberal Minshuto (Democratic Party of Japan, DPJ) consolidated and replaced Shinshinto as a rival of LDP." ^ Daniele Caramani (2013). The Europeanization of Politics. Cambridge University Press. p. 310. ISBN 978-1-107-11867-6. ^ Dominique Auzias; Jean-Paul Labourdette; Collectif (2012). Vilnius 2012 (avec cartes et avis des lecteurs). Petit Futé. p. 22. ISBN 2-7469-6092-3. ^ Marek Jan Chodakiewicz (2012). Intermarium: The Land between the Black and Baltic Seas. Transaction Publishers. p. 331. ISBN 978-1-4128-4786-5. ^ Gebhard Moldenhauer (2001). Die Niederlande und Deutschland: einander kennen und verstehen. Waxmann Verlag. p. 113. ISBN 978-3-89325-747-8. ^ Vít Hloušek; Lubomír Kopeček (2010). Origin, Ideology and Transformation of Political Parties: East-Central and Western Europe Compared. Ashgate Publishing, Ltd. p. 121. ISBN 978-0-7546-7840-3. ^ Igor Guardiancich (2012). Pension Reforms in Central, Eastern and Southeastern Europe: From Post-Socialist Transition to the Global Financial Crisis. Routledge. p. 144. ISBN 978-1-136-22595-6. ^ The European Union Encyclopedia and Directory 1999. Psychology Press. 1999. p. 332. ISBN 978-1-85743-056-1. ^ Dimitri Almeida (2012). The Impact of European Integration on Political Parties: Beyond the Permissive Consensus. Taylor & Francis. p. 102. ISBN 978-1-136-34039-0. ^ Dr Vít Hloušek; Dr Lubomír Kopecek (2013). Origin, Ideology and Transformation of Political Parties: East-Central and Western Europe Compared. Ashgate Publishing, Ltd. p. 120. ISBN 978-1-4094-9977-0. ^ Stephen Driver (2011). Understanding British Party Politics. Polity. p. 117. ISBN 978-0-7456-4077-8. Retrieved 20 July 2013. ^ Ian Adams (1998). Ideology and Politics in Britain Today. Manchester University Press. p. 63. ISBN 978-0-7190-5056-5. Retrieved 20 July 2013. ^ a b c d e Cardoso Rosas, João (2008). "Socialismo ou liberalismo social?". DiarioEconomico.com. Archived from the original on 15 January 2009. Retrieved 21 May 2008. ^ a b c d e Luiz Carlos Bresser-Pereira (2003). Building the Republican State. Oxford: Oxford University Press. ISBN 9780199261185. ^ a b c d e Meadowcroft, John (Autumn 2000). "The Origins of Community Politics" (PDF). Journal of Liberal Democrat History. Archived from the original (PDF) on 16 August 2009. ^ a b c d Avital Simhony; David Weinstein (2001). The new liberalism: reconciling liberty and community. Cambridge: Cambridge University Press. ISBN 9780521794046. ^ a b c "James Hobson". Archived from the original on 31 March 2008. Retrieved 19 May 2008. ^ Merquior, J.G. (1991). Liberalism Old and New. Boston: Twayne Publishers. ISBN 0805786279. ^ Seidman, Steven (2004). Contested knowledge: social theory today. Malden, MA: Wiley-Blackwell. ISBN 9780631226710. ^ W. Russell, James (2006). Double standard: social policy in Europe and the United States. Rowman & Littlefield. ISBN 9780742546936. ^ Thompson, Alastair (2000). Left Liberals, the State, and Popular Politics in Wilhelmine Germany. Oxford: Oxford University Press. ISBN 9780198205432. ^ F. Biagini, Eugenio (2002). Citizenship and Community: Liberals, Radicals and Collective Identities in the British Isles, 1865–1931. Cambridge: Published by Cambridge University Press. p. 228. ISBN 9780521893602. ^ Till van Rahden; Marcus Brainard (2008). Jews and Other Germans: Civil Society, Religious Diversity, and Urban Politics in Breslau, 1860–1925. Wisconsin: University of Wisconsin Press. ISBN 9780299226947. ^ Ronald Findlay; Lars Jonung; Mats Lundahl (2002). Bertil Ohlin: a centennial celebration, 1899–1999. Cambridge: MIT Press. ISBN 9780262062282. Archived from the original on 10 September 2006. ^ Klausen, Jytte (2001). War and Welfare: Europe and the United States, 1945 to the Present. Palgrave Macmillan. ISBN 9780312238834. ^ "Espaço Cultural Miguel Reale". Jornal da Universidade de São Paulo (in Portuguese). Universidade de São Paulo. 2000. Archived from the original on 25 August 2007. Retrieved 5 April 2009. ^ Reale, Miguel (2000). Crise do capitalismo e crise do Estado (in Portuguese). São Paulo: Senac. ISBN 9788573591415. ^ Watson, Graham (Spring 1998). "The Two Davids" (PDF). Journal of Liberal Democrat History. Archived from the original (PDF) on 16 August 2009. ^ a b c Vincent, Andrew (2007). The Nature of Political Theory. Oxford: Oxford University Press. ISBN 9780199297955. ^ Paul Aron; Luke Miller (2007). "The Third Team: A brief history of the Australian Democrats after 30 years" (PDF). Australian Democrats. Retrieved 5 April 2009. ^ Flach, Karl-Hermann (1984). Noch eine Chance für die Liberalen. Frankfurt am Main: Fischer S. Verlag GmbH. ISBN 978-3100210012. ^ Gotovac, Vlado (1996). In Defence of Freedom: Zagreb 1971–1996. Zagreb: Matica hrvatska; Croatian PEN Centre. p. 11. ISBN 953-150-066-5. ^ Rodriguez, Ángel Rivero (1993). "Liberalismo, democracia y pragmatismo" (PDF). Isegoría (8). Archived from the original (PDF) on 16 August 2009. Retrieved 5 April 2009. ^ a b c Verhofstadt, Dirk. "Liberalism is the best Cure for Poverty". Archived from the original on 12 October 2006. Retrieved 17 August 2008. ^ Fotopoulos, Takis (October 2004). "Why an Inclusive Democracy? The multidimensional crisis, globalisation and inclusive democracy". The International Journal of Inclusive Democracy. 1 (1). Retrieved 21 May 2008. ^ Tosto, Milton (2005). The meaning of liberalism in Brazil. Lanham: Lexington Books. ISBN 9780739109861. Archived from the original on 24 May 2006. Retrieved 13 December 2017. ^ Krugman, Paul (2007). Conscience Of A Liberal. New York: Ww Norton & Co. ISBN 9780141035772. De Ruggiero, Guido. The history of European liberalism. Boston: Beacon Press, 1959. Green, Thomas Hill (2006). Lectures on the Principles of Political Obligation. New Jersey: The Lawbook Exchange. ISBN 1584776145. Hobhouse, L. T. (1994). Liberalism and Other Writings. Cambridge: Cambridge University Press. ISBN 0521437261. Hobson, John Atkinson (2000). The Crisis of Liberalism: New Issues of Democracy. Delaware: Adamant Media Corporation. ISBN 1421227819. Martin, Keith D. (2010). A Liberal Mandate: Reflections on our Founding Vision and Rants on how we have Failed to Achieve it. Silver Spring, MD: Weit Press. ISBN 978-0-578-04365-4. Merquior, J.G. (1991). Liberalism Old and New. Cambridge: Twayne Publishers. ISBN 0805786279. Mill, John Stuart (1989). 'On Liberty' and Other Writings. Cambridge: Cambridge University Press. ISBN 0521379172. Rawls, John (2005). A Theory of Justice. Harvard: Harvard University Press. ISBN 0674017722. Rawls, John (2005). Political Liberalism. New York: Columbia University Press. ISBN 0231130899. Simhony, Avital; Weinstein, David (2001). The New Liberalism: Reconciling Liberty and Community. Cambridge: Cambridge University Press. ISBN 0521794048.